With a career combining teaching, solo, chamber music, and orchestral performance, violinist Francisco Cabán has been hailed for his beautiful tone and musicianship. As soloist and recitalist he has performed in the United States, Mexico, Japan, Spain, France, the Netherlands, Peru, and Puerto Rico. He has appeared as chamber musician, soloist and recitalist at the Casals Festival and the Inter American Festival for the Arts in San Juan, PR; the XII Chamber Music Festival in Havana, Cuba; and the Mexican Violin Festival in Querétaro, Mexico among others. A distinguished member of the Puerto Rico Symphony Orchestra since 1992, he has also performed as soloist with this ensemble. A dedicated and sought after teacher, he is Associate Professor of Violin and Chamber Music at the Puerto Rico Conservatory of Music. Among his many activities as pedagogue, he has created the Puerto Rico Conservatory Violin Festival. The Festival has the dual function of exposing students to the most important performance trends of our time, while at the same time giving them the opportunity of sharing the stage with great artists. Distinguished guests include Guillermo Figueroa, José Francisco del Castillo, Francesco Manara, Cármelo de los Santos, Miroslav Hristov, Sergiu Schwartz, Federico Agostini, and the Harlem Quartet. 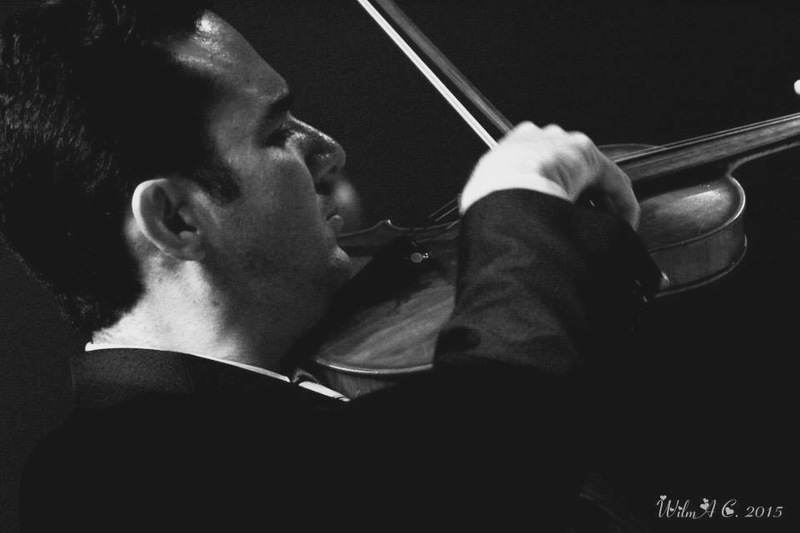 The prestigious Strad magazine, in its August 2012 issue, reviewed his work as a pedagogue. Dr. Cabán has presented numerous master-classes and lectures at the universities of New Mexico, Tennessee, Texas, the National Conservatory of Peru, Puerto Rico Conservatory, Centro Universitario de Estudios Musicales in Querétaro, Mexico, Instituto Superior de Arte de la Habana in Cuba; and the Latin-American Violin Academy in Venezuela. He has also served as faculty in summer festivals such as the Killington Music Festival in Vermont, and FOOSA in Fresno, California. Many former students are now members of the Puerto Rico Symphony Orchestra, while others have moved to the US to pursue graduate studies, earning scholarships, as well as top prizes in national competitions. Dr. Cabán has made two CD recordings: Ola Nocturna, and Ola Diurna. Both of these awarded productions include masterpieces from Puerto Rico and the Americas.